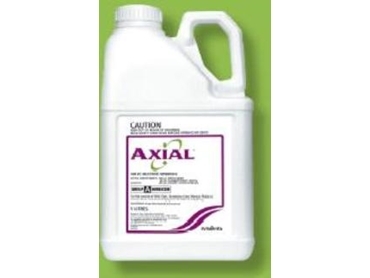 Axial, available from Syngenta , is a selective herbicide. Australian trial results show that Axial can be tank mixed with a range of key broadleaf herbicides. Dicamba and 2,4-D have been shown to be not compatible with Axial. Variations in water quality, product formulations, environmental conditions, and water volumes can all affect the compatibility of any tank mix. Therefore it is recommended that a preliminary compatibility test (jar test) be carried out prior to the use of any tank mix with Axial. Please refer to the label of the product being tank mixed for rates and constraints. Axial applied on its own has good crop safety on wheat and barley from 2 leaf to flag leaf emergence.